Not a fan of camping? Many people have no desire to spend a night in the woods, roast marshmallows by a fire, sleep in a tent or deal with bugs, bugs and more bugs. Most families have kids or one partner who wants to go camping, making the person who doesn’t want to go look like the bad guy. That person either refuses to go, making the rest of the family unhappy, or goes and hates every minute of it, still making the family unhappy. It’s a no-win situation for the person in the family who hates camping – until now! “Glamping” is a new trend that has found a happy medium between camping and an upscale vacation. It’s a solution that everyone in the family can enjoy. Glamping, or glamour camping, offers that perfect combination of being in the woods and campgrounds while still having access to resort-style activities and amenities. An idea that has been popular in France for some time, it has made its way to Quebec at Huttopia Sutton, a mountainside vacation village that is about a 90-minute drive from Montreal. “This idyllic woodsy domain combines ready-made rustic dwellings with resort activities such as wine tastings, a children’s program, tennis and two heated swimming pools,” says Rochelle Lash in the National Post. 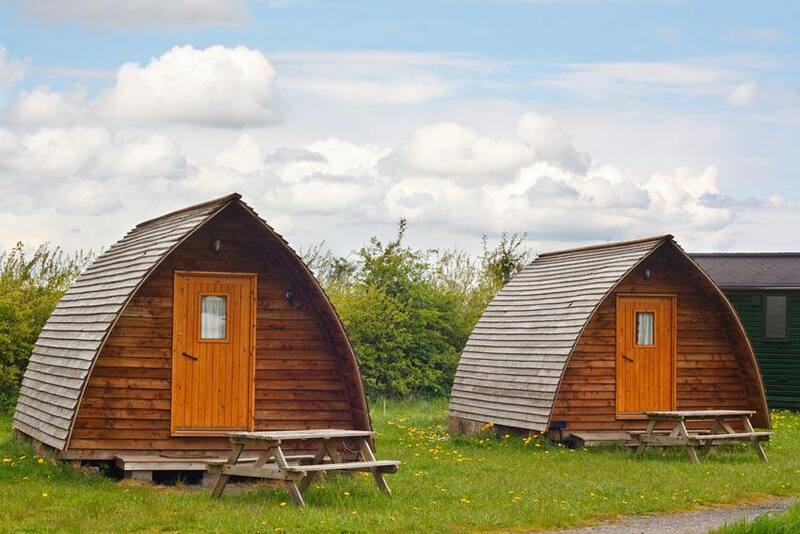 “At Huttopia Sutton you won’t have to put up a tent, fumble with poles or clean the chalet at the end of the season. No more do-it-yourself camping, unless you want to take that on,” she adds. The vacation village offers travellers the best of both worlds: you can choose to camp in a tent or stay in a cabin or chalet. The area even has 30 traditional campsites if you want to “rough it” in the wilderness. Sounds like a good compromise for people who don’t like to camp. Expect more of these glamping-style vacation spots to pop up to accommodate people who want the experience of camping without having to pitch a tent.